I can offer a repair service to most makes of accordion (including midi) and the following makes of popular keyboards and organs including Yamaha,Clavinova ,Korg, Roland, Technics, Farfisa & Casio. Send me your details and the nature of the fault by way of the facility on my contact page. Many repairs can be done on site. What made me study musical instrument electronic repairs? I first got interested in electronics when I switched from acoustic accordion to the Cordovox developed by Chicago Musical Instruments and marketed by Farfisa. The electronics were basically a very near copy of the Lowrey Holiday organ with 12 basic tone generator oscillators which were frequency divided to provide a full 41 piano key treble side and the lower frequencies to provide the 12 basic bass and counterbass tones along with the mixtures of frequencies to feed all the chords in the Stradella bass. Like it’s near relative the electronic organ, it had a fine array of tones and percussive stops to mix with the sounds of the accordion reeds The electronics were housed in a large wheel around cabinet which also contained all the speakers. The feed from the cabinet to the accordion was by way of a fat composite cable of 125 individual strands. The bass sound was particularly good but the vibration played havoc with the plugs and sockets of the circuits. So as a working musician who just loved to play good meaty bass I kept having trouble with notes not playing. With only two service centres being over 150 miles away from home I soon decided to get to grips with electronics. Whilst working for British Leyland Truck & Bus division I took an electronics course in TV and radio servicing , and for a good number of years I was a Grundig TV and video repair engineer. However music is my number one and I worked in a music shop in Jersey Channel Isles where I repaired keyboards and accordions. After many years away from the piano I decided to get back to playing on my 16 year old Yamaha Clavinova CLP 950 , however the keyboard was noticeably klunky. Steve replaced the upper & lower felts and the piano is now as good as new. 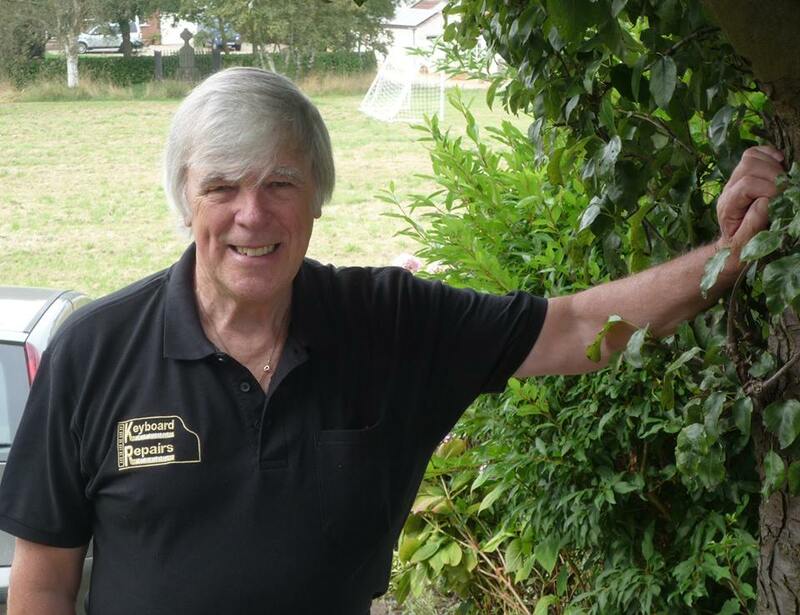 His work was faultless & I would happily recommend his services. Many thanks Steve for repairing my 17 year old Yamaha Clavinova CVP 201. The grandchildren will be thrilled! It was a pleasure and an education to watch an expert at work. Hopefully your invaluable skills and knowledge will eventually be passed on. ………St Wilfred’s RC College, Tyne & Wear. When my Yamaha PSR-S900 keyboard died during our carol service just before Christmas I felt that I had lost my right arm and thought I would have to send it away to a national supplier for repair which would take several weeks. I contacted Steve from Keyboard Repairs Middlesbrough- he collected the keyboard almost immediately and carried out repairs very efficiently which meant acquiring parts and reassembling the keyboard within a few days. I am extremely grateful and would have no hesitation in recommending him. Steve I am absolutely thrilled with the repair to my old Yamaha Electone FE30. I honestly thought that it had to go to organ heaven after 31 years of ownership. To hear it loud and clear after your repair was amazing. From the bottom of my heart Steve, thank you. Thank you Steve for a brilliant job of repairing my Technics SX PR902 Organ. It has made all the difference to my evenings. I was impressed at the speed you got on with the repair and your whole pleasant attitude. I will recommend Keyboard Repairs to anyone with electronic pianos or keyboard problems Than you again from a very happy customer. Mr Steve Roxton travelled about 26 miles to repair my Yamaha AR100 organ. He had to send to Germany for a part which he managed to get and repaired it within two weeks. I really appreciated what he has done. I am highly delighted and highly recommend Keyboard Repairs. S.A.. Easton BA …………..Newcastle Preparatory School. Thanks for repairing my Roland FR3 accordion. Having searched the net I was sure it was going to be impossible to find someone in the North East who could fix two non sounding notes on the treble side and two chords which were sluggish in performance. It now works perfectly and I will recommend you to all my accordion friends. Thanks to Steve at Keyboard Repairs my Yamaha CVP109 will now last me a few more years. It had become clanky in operation but now having been fitted with upper and lower felt dampers, the action is like new again. I was quite upset when my KORG Trinity started playing up and the thought of loosing all those gorgeous sounds I had come to rely on for my performance, filled me with dread. Not wishing to trust courier services handling the instrument to the Korg service department and back without more damage occurring, not to mention the cost, I searched on the net for a service engineer in the North-East . Entrusting my machine to KEYBOARD REPAIRS Middlesbrough saved the day. The repairs were completed within a week and at reasonable cost and my Korg workstation is good as new again. Just before Christmas our YAMAHA CLAVINOVA developed a couple of faults just when we needed it for our Christmas members show, which we had been rehearsing for several weeks. A quick call to KEYBOARD REPAIRS, Middlesbrough soon had our piano fixed in time for the show. The service was quick and efficient. My ROLAND FR-3 pedal developed a fault and as this is combined to charge up my digital piano accordion I was anxious to get it repaired quickly. Once the charge has run out of the internal battery I could no longer use the accordion for strolling which is why I bought a reedless accordion in the first place. 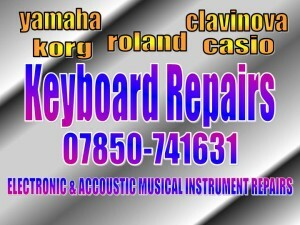 Luckily I found on the net KEYBOARD REPAIRS which is run by Steve Roxton one of the UK’s top accordionists. The unit was fixed within a week and now performs pefectly. I was at a loss as to what to do with a Vintage Philips organ I had purchased on eBay. It got damaged in transit and would not switch on. I browsed the web to find KEYBOARD REPAIRS and Steve’s jumped out at me. I dropped it off and although the organ had serious issues internally it was fixed within a week and for the time he spent on it the repair bill was very reasonable. I would certainly use him again for any keyboard related repairs. The YAMAHA VS100 organ in St Georges Church Scackleton had become so bad that one of the two organists refused to play it any more. 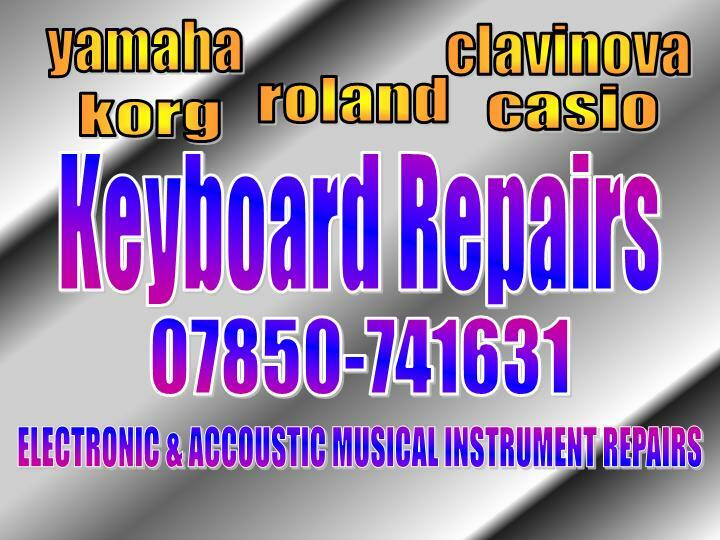 We sent for Mr Roxton at KEYBOARD REPAIRS Middlesbrough who quickly sorted it out. It now plays as good as ever. Many thanks for your prompt and efficient service. The appointment was arranged with minimal delay around our schedule and was carried out in our home. The piano now plays as good as new – great to have it back! Would thoroughly recommend you without reservation. I’m just writing to say thank you for fixing my Yamaha S70XS synthesiser today. I contacted you last week and you came out and had a look at it, gave me an estimate, went away, ordered the part and as soon as the new part arrived you got back in touch. You then came back to my house and fixed the faulty key within an hour of arriving. Your the only keyboard repairer I could find locally and I was very pleased with the fast & friendly service I received. I would recommend you to anyone. I was at a loss after spilling red wine all over my Casio PX-350 digital piano. Everyone I contacted told me to give up on it, that it would be easier to get a new one. Mr Roxton on the other hand booked me for an “at home” repair at once, and had no trouble getting the poor piano back on form. It’s as good as new! An extremely positive experience, a lovely person, and an outstanding piano technician. Highly recommended. I had recently been experiencing problems with the quality of sounds whilst using my digital piano. Steve kindly gave me advice in an e-mail on how to get the best sound on my Behringer amp set up. My problem is now solved . Thanks Steve. Due to the noisy action of my Clavinova CLP 820 digital piano, I had ceased over time to play the instrument. When I found that this could be cured without having to send it away I contacted KEYBOARD REPAIRS of Middlesbrough. The piano was repaired in my home in one afternoon by the fitting of new felt dampers. Now I enjoy once again using the instrument every day. The service was second to none. Our Yamaha EL25 developed a fault on the lower keyboard so that the middle C did not sound. We were delighted with Steve’s approach to analysing the cause, obtaining the correct part and installing it. It was a job very well done. It’s lovely to have the EL25 working properly again and Steve charged a fair price for the work done. We will certainly contact Steve again should the organ develop another fault. Dear Steve. Thank you for repairing our Chase digital piano that was under warranty. It’s now all ship-shape and dandy. Good job well done. Nice to see a patient methodical technician at work. Hi Steve Thanks for attending to my Albhorn organ. The pedal section now works perfectly again. You did a good job and I can once again enjoy the instrument which had been faulty for some time. Why is KEYBOARD REPAIRS so good ? Repairs can often be made on site. This is a bonus. Nobody wants to see their lovely Clavinova going into a carriers van to be looked at somewhere miles away and then coming back with damage. The carriage fees to and from the repair facility alone can set you back a pretty penny and then there’s the repair bill on top. However with KEYBOARD REPAIRS the repair is carried out in your home wherever possible, eliminating extra cost, possible damage and a long wait to get your instrument back again. If this is not possible due to parts having to be obtained, you are dealing with the person who is going to mend your instrument, and who will be happy to give you an estimate of the cost. If you live within a 10 mile radius of Middlesbrough there is no call out charge or collection and delivery charge. Outside the 10 mile limit a reasonable charge per mile is made to cover time and fuel costs.